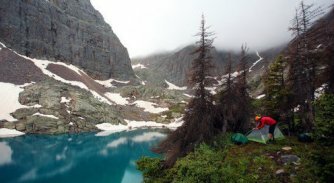 At Pine Needle Mountaineering, we're proud to continue our long tradition of service to the Four Corners region, offering the top brands in the outdoor industry. 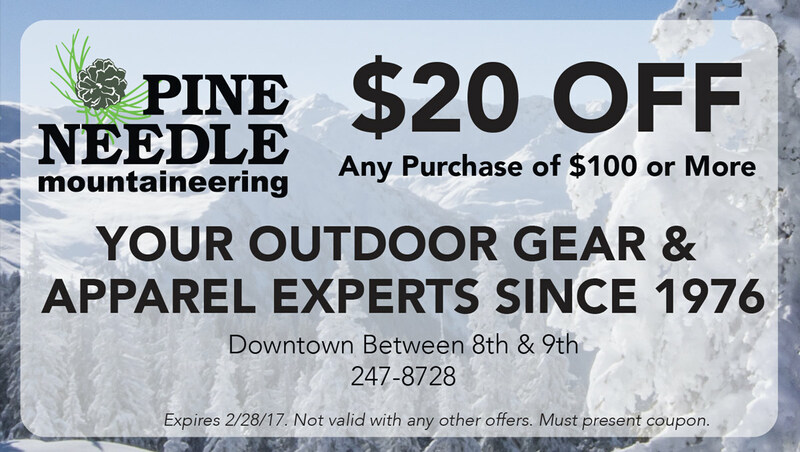 Whatever your outdoor endeavor, Pine Needle has the gear you need, whether you're climbing, camping, hiking, backpacking, nordic or backcountry skiing. We also offer a large selection of technical and casual clothing and footwear for the mountain lifestyle. Our expert staff uses everything we sell, so we're uniquely prepared to help you select just what you need, from ski boots to sleeping bags, with recommendations based on our own mountain adventures. Conveniently located on Main Avenue in downtown Durango, Colorado, we're always close at hand to give you expert advice on local climbs, ski tours and trail conditions in the San Juan Mountains. Come by and see us next time you're preparing for your own trip into the hills.